If youÕre looking to manage your weight, glucose, blood sugar or metabolism easily, effectively and enjoyably, youÕre in the right place. The FOCUS Extended Portion Control Kit is the evolution of portion control and the most complete solution for all of your needs; breakfast, lunch, dinner, snacks and beverages! This kit handles all the tough stuff for you. If youÕre looking to manage your weight, glucose, blood sugar or metabolism easily, effectively and enjoyably, youÕre in the right place. FOCUS is the evolution of portion control Ð and youÕll love what the futureÕs got in store. The best tools make every task easier Ð golfers have their clubs, mechanics have their tools, and health-conscious people like you have got a complete portion control dinnerware system to help you reach your goals while you continue to eat the foods you already enjoy. Healthy eatingÕs never been easier Ð or more fun. Keep your food inside the lines (portion control markings are artfully integrated right into the design of your new dinnerware) and youÕre on targetÉ thatÕs all there is to it. All Precise Portions dinnerware is developed by dieticians using the most current guidelines from the American Dietetic Association and the American Diabetics Association and crafted from beautiful, chip-resistant Porcelain China. ItÕs attractive, durable and convenient Ð 100% dishwasher/microwave safe. FOCUS Evolve includes every tool you need to get on track and stay there Ð to eat right, live healthy and feel great. This is portion control dinnerware you can count on, whether youÕre at home, in school, at the office or on the road. The first tool in your belt is the 9Ó FOCUS portion control dinner plate. With helpful dietary guidelines printed right on the plate itself, youÕll always have easy access to important serving information. Remember Ð just stay inside the lines. Next in line is the 18oz FOCUS portion control bowl Ð because itÕs not easy to eat soup from a plate! YouÕll be able to manage your intake of your favourite soups, salads, cereals and more with ease using the ? cup, 1C and 1?C markings discreetly (but clearly) marked within the bowlÕs leaf-motif interior. DonÕt forget dessert! Yes, with FOCUS Evolve, you can have your cake and eat it too. ItÕs not always easy to pass up the sweetest part of the meal, even when youÕre managing your weight and blood sugar. The good news is that now you donÕt have to Ð not with your 6Ó portion control dessert plate on your side. Liquid calories can really sneak up on some peopleÉ but not you, because your kit also includes the 10oz FOCUS portion control drinking glass. 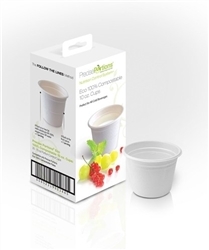 With a leaf-motif design to match the rest of your dinnerware and 4/8oz measurements clearly marked, youÕll always know exactly how much liquid youÕre taking in. By the way Ð doctors recommend drinking at least 8 glasses of water each day. Many peoplesÕ health suffers because they donÕt drink enough, and your FOCUS drinking glass can help you make sure youÕre not one of them. Do you ever get hungry between mealtimes? Most of us do, and nutritionists say that our bodies are designed to eat smaller portions of food more often. Now you can eat right between meals, too Ð with your 8oz FOCUS portion control snacking bowl. YouÕll be able to manage those snacks no problem because your bowl is clearly (and discreetly) delineated into 2, 4 and 6oz measurements. Healthy eating certainly starts at home Ð but it doesnÕt stop there. With all the fatty, sugary foods available and few healthy alternatives on the road, your FOCUS 9Ó covered portion control to-go plate can be a real lifesaver. 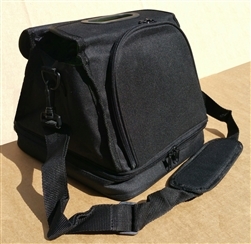 Now youÕre not limited by geography, because you can choose exactly what and how much youÕd like to eat, and take it anywhere with you thanks to an easy-sealing lid and 3 divided sections for managing your portions. 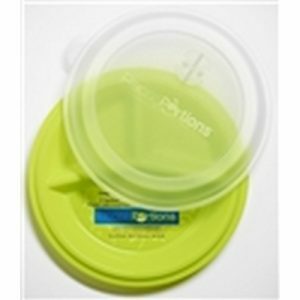 The FOCUS to-go plate is constructed from durable, microwave safe plastic for safety and convenience. Kids can be really picky, and FOCUS Evolve gives them an easy way to get on board with healthy eating by letting them enjoy their meals. The FOCUS to-go plate makes a great alternative to greasy school lunches, and nobody will ever be the wiser. They will, however, notice the results youÕre achieving! ItÕs actually easy to get the whole family on board with a healthier lifestyle when they get to enjoy both food and results. Portion control helps you to build a faster metabolism to better manage your weight and blood sugarÉ and that means having more energy to do the things you love. Enjoy a healthier lifestyle as a family with the FOCUS Evolve Quartet. 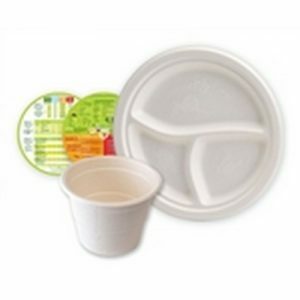 Your FOCUS Evolve portion control dinnerware kit also includes 7 menu planning worksheets. On one side youÕll find helpful meal planning aids, with visual portion control guidelines to help you judge your mealÕs best layout at a glance. On the reverse youÕll find a daily menu management worksheet to help you keep track of your consumption over time. These worksheets actually double as a placemat for your convenience. This is a great tool to bring to your doctor or nutritionist, who will be able to analyze what youÕve been doing and offer helpful advice accordingly. While the placemats are technically disposable, theyÕre very high-quality so you donÕt need to worry too much. For best results, track your portions daily Ð order a planning worksheet top-up here! Free bonus: YouÕll also receive Precise PortionsÕ ÒQuick-Start Guide to Healthy EatingÓ. This 16-page booklet is packed with useful tips and advice to help you keep succeeding, and thereÕs even a new bonus section at the back with 7 ÒfreeÓ foods and drinks you can always enjoy. Weight and blood sugar management doesnÕt have to be a chore. Just like anything else, when youÕve got the right tools for the job, it can actually be fun! Portion control has evolvedÉ Start FOCUSing today!